Faurecia CEO Delabriere says the deal "reinforces our leading position on the market for emissions control technologies." DETROIT -- Faurecia SA plans to acquire Emcon Technologies to create the world's largest exhaust systems supplier, with $7.7 billion in annual revenue. The French supplier plans to combine Emcon, which reported 2008 revenue of about $3.55 billion, with Faurecia Exhaust Systems. The new company will be called Faurecia Emissions Control Technologies. Emcon, of suburban Detroit, was formed in 2004 after One Equity Partners bought ArvinMeritor Inc.'s exhaust systems business for about $310 million. In a statement, Faurecia CEO Yann Delabriere said the deal "reinforces our leading position on the market for emissions control technologies, which will boast strong growth over the coming years." Faurecia said it would fund the purchase by issuing 20.9 million shares of stock. The acquisition is expected to close in early 2010. Terms were not disclosed. The acquisition "takes place at a crucial moment, as the emissions control market requires strong technology developments and enjoys strong growth worldwide," Emcon CEO Lee Gardner said in a statement. Emcon supplies an array of systems that help cut carbon dioxide and other emissions from vehicle exhaust -- a key technology to help automakers meet stringent fuel-efficiency and emissions regulations. Emcon employs about 6,700 people in 18 countries. 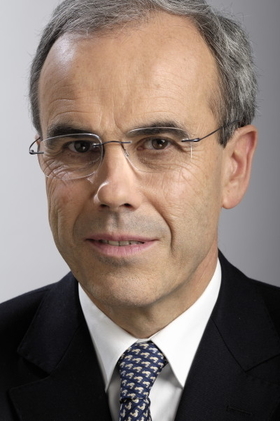 PSA/Peugeot-Citroen SA will remain Faurecia's controlling shareholder after the Emcon acquisition, with PSA holding 57.4 percent of Faurecia.